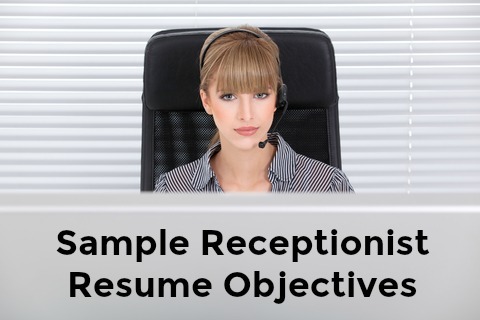 Your receptionist resume objective should clearly and quickly tell the employer why your job application should be taken seriously. These convincing resume objective statements will make sure your resume gets noticed and read and will take you to the next stage in the hiring process. It is an established fact that the single sentence what-I-am-looking-for kind of resume objective does not provide the reader with a persuasive reason to read on. 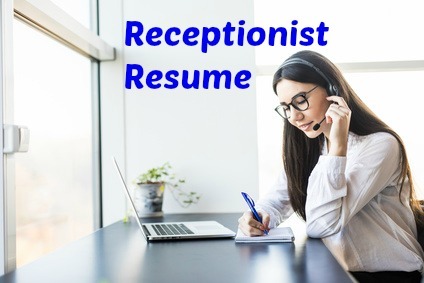 An objective statement that highlights your skills and strengths as they relate directly to the receptionist job opportunity is far more effective. These examples of well-written and persuasive resume objective statements can be customized for your own use and targeted to each specific job opportunity. An enthusiastic and committed receptionist seeking a position with XYZ company to bring professionalism and poise to their front line. Proven efficiency in operating a multi-line telephone system, providing clerical support and dealing capably with customers and queries. Detail-orientated and highly organized with a desire to meet and exceed visitor expectations. Ensuring customers have the the best experience in accordance with your company protocol is my priority. Self-motivated and organized with an ability to multi-task while dealing with diverse demands, I am seeking an opportunity to join a company that understands that the reception position is key to the company's operational image. An experienced receptionist seeking an opportunity in a demanding corporate environment. Track record of demonstrating excellent telephone etiquette, efficiently managing multiple tasks and responsibilities, taking initiative to solve problems and making sound decisions. An adaptable team player who is always ready to assist when called upon. A confident and outgoing professional looking for a receptionist position at XYZ company. Over 5 years experience performing a wide range of administrative tasks while ensuring customers receive 5 star service in a busy corporate environment. Demonstrated ability to work with a high degree of independence while providing reliable and efficient support to office management. Sample resume objective phrases that highlight the skills, strengths and achievements employers are generally seeking in a receptionist. Use these to build your own resume objective statement that clearly addresses the needs of the receptionist job you are applying for. A problem-solver who is readily able to assist in many different capacities and works with a high degree of integrity. Proven ability to maintain professionalism and composure when interacting with challenging and diverse customers. Able to prepare written communications in a clear and concise manner. Excellent interpersonal skills and the ability to interact effectively at all levels in a diverse organization. An energetic professional with a strong work ethic and a results-driven approach to the job. Strong organizational, administrative and time management skills. Displays a proactive approach to serving customers and visitors. Demonstrated computer skills and an aptitude for learning new technology. Track record as an effective team member through cooperation, flexibility and dependability. Able to accurately apply job knowledge and skills to complete all tasks in a timely manner in accordance with company policies and procedures. Able to maintain confidentiality and handle sensitive information.